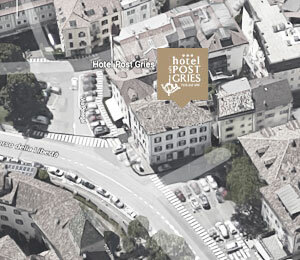 Bolzano invites you to let your mind wander. There are endless opportunities inviting you to stay, stroll and discover. The old medieval town center boasts shops with romantic porches, colorful markets and other places that send you back hundreds of years in time. The Piazza Walther is home to the monument of minstrel Walther von der Vogelweide. With the Walther monument having been built in 1901, the square came to its present name of Piazza Walther / Waltherplatz. It is the largest square in the old town, surrounded by magnificent town houses and cafés that invite you to linger. 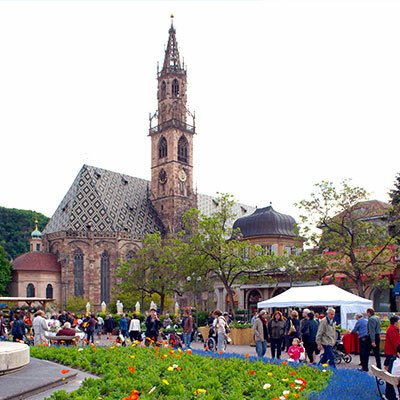 Flower market, speck festival, pumpkin festival and of course the Christmas market are just a few popular festivals that take place every year on the Walther square. 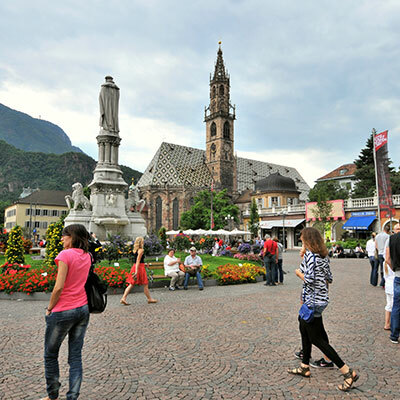 The Bolzano Cathedral (Dompfarrkirche Maria Himmelfahrt), directly opposite the Walther Square, is the symbol of the city of Bolzano. The impressive bell tower, the marvelous Romanesque-Gothic architecture and numerous artistic treasures inside invite you to an extensive visit. 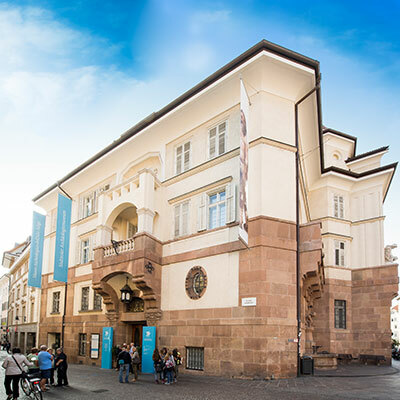 Colloquially known as "Ötzi Museum", the South Tyrol Archaeological Museum located right in Bolzano’s historic center impressively shows the entire history of South Tyrol from the Palaeolithic Age to the Carolingian period on an exhibition area of about 1200 square meters. Based on archaeological findings, models, holograms, videos and acoustic impressions thousands of years of history are illustrated. The absolute highlight of the museum is the 5300-year-old Ötzi, a sensational iceman find. The mummy was found in 1991 on the Similaun glacier in the Ötztal Alps. 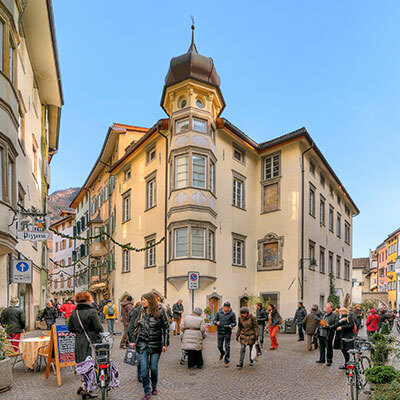 The old town in Bolzano city centre has romantic narrow streets and historic buildings, making it a real gem. The Bozner Lauben - elegant shopping arcades with round arches - as well as the lively fruit market and numerous cafés and restaurants give the city a really special atmosphere. The Talferwiesen (meadows of Talvera/Talfer) in the city centre is Bolzano’s green oasis, offering walking trails and playgrounds. It is especially popular in the summer as a meeting place for sport and for relaxing.